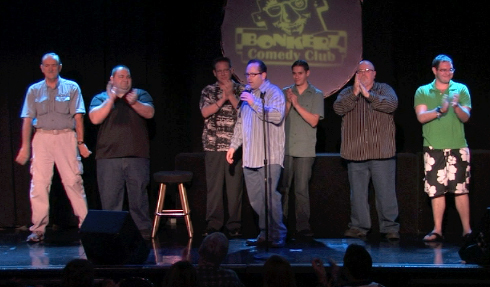 Teaching the art, business and science of humor, stand up comedy, acting and success. Teaching what can't be taught! 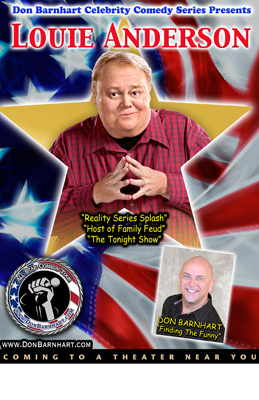 Award Winning Comedian, Second City Conservatory graduate, Comedy Club Booker, Comedy Consultant, Actor, Author, Filmmaker and Certified Hypnotist Don Barnhart is now offering seminars and classes in the art, business and science of humor, stand up comedy, improv, acting and success. 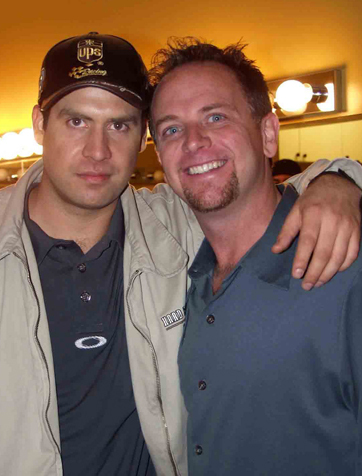 What sets Don apart from any other instructors is that Don is one of the top headline comedians working today. 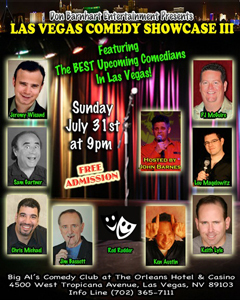 Don Barnhart Entertainment is also the premier booking agency for comedy shows around the world. 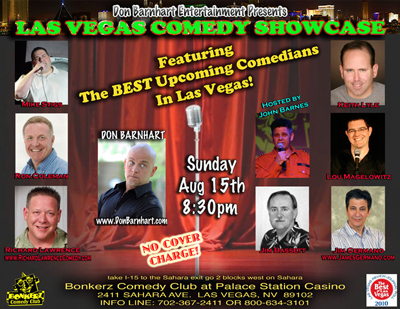 Barnhart also serves as one of the top comedy club consultants in the country and is currently involved with the opening and booking of several new comedy clubs throughout the United States as well as booking and producing shows for the military, special events and comedy concerts. 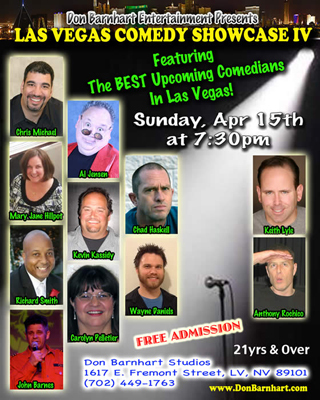 Over the last 25 years, Barnhart has consulted on the opening, operations and marketing of numerous comedy clubs, cruise ships, concerts and comedy shows for the military. With a group of four (4) or more, classes can be designed around your schedule. 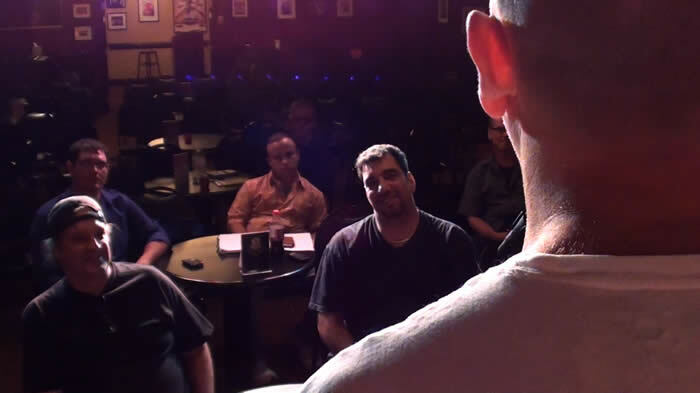 STAND UP COMEDY CLASSES: Can you actually teach someone to be funny? Don can help jump-start your comedy career helping you find and develop your comedy character – the part of you that is uniquely funny. Don Barnhart's Stand Up Comedy Class doesn't promise to make you the next Seinfeld but he can help you become a much better stand up comedian or just become a funnier person in real life! By teaching you the fundamental skills, principles, and techniques used by himself and other top-working comedians Don's approach can cut years off your development as a stand-up comedian and comedy performer. "My goal isn't to rewrite your act but to help you find the funny in you", added Barnhart. "If you're not getting paid, it's just a hobby!" If you're already performing comedy, Don's experience will help you to fine tune your act and get you to the next level. Are you a "comedian", rather than a "comic"? (A comic says funny things; a comedian is a funny person) Besides working on the technical side of comedy: Material, performance and technique, you'll also learn about the business side of "Show Business", Making money, marketing and promotion. Stand Up Class sessions are broken down to: Instruction, Questions & Answers and Workshop where you will get up and work on your material, presence and technique with interactive participation from Don and the class. If you interface with the public in business, speaking or presentations, Don can help you add the magic of humor and your own unique comedy personality to your public interfaces for better sales, service and speaking. 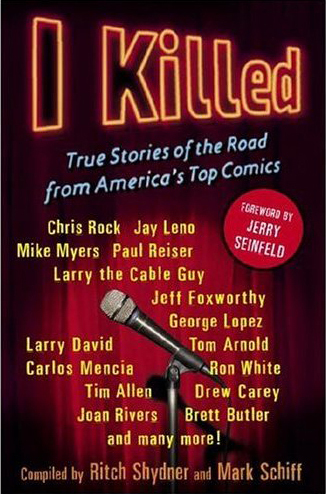 In addition to following the comedy class, the film features interviews with Brad Garrett, Louie Anderson, Marty Allen, Wendy Leibman, Andy Kindler and many other comedians both famous and not so famous who share their thoughts on the arduous task of becoming a stand-up. weekend intensive bootcamps and more. Due to the personal attention given to each class and student, late enrollment, drop-ins and audits are not accepted for the 6 weeks sessions. The 6th class includes a showcase and students will be videotaped. If you would like to speak with Don to see if his class is right for you, please feel free to email or call to discuss your personal situation. All students will be given a DVD of their showcase set at no extra cost. New students, those intersted in pursuing comedy or wanting to build stage confidence, punch up their presentations. Whether you are already a working comedian or looking to make it your profession or simply need help with that next presentation or just want to come and have fun, Don can help you find the funny. Course includes basics of comedy writing, joke structure & performance technique, overcoming stage fright, becoming more confident and comfortable on stage, editing the fat, owning the stage and emcee skills are just some of the techniques in this workshop. You'll be on stage every class. This class is for working comedians ready to take it to the next level and professional comedians that may have hit a platau in their carreer and need to jump start and fine tune their acts. Along with reviewing your joke structure, writing techniques, developing new materiel and cutting "The Fat", every class will have you on the stage working your material, performance technique. Bookings, avails & road life, proper club etiquette, The Business of Comedy, Marketing. It ain't "Show Friends" It's "Show Business", Persistence vs. Pestulance and much more. New material, concepts, scrips/etc. We’ll break it up into 15-20 minutes segments for each person. That person will talk out what it is they’re working on and we’ll go around the table punching up working out each persons material helping to uncover the funny and gain a different perspective on your material. Whatever is created during that person’s segment is then theirs. Great for comedians, writers, speakers, actors and more. Learn the art of improv in this practical workshop by Second City Conservatory Graduate and Award Winning Comedian Don Barnhart. Increase your confidence and stage presence. Great for comedians, actors, business people, sales teams and anyone wanting to learn improv or increase their stage performance and speaking ability. Break through your roadblocks and stage fright. You'll have a blast in this interactive workshop as you create and work with characters, voices & space work. One hour of personal one-on-one coaching through Skype or iChat. Reserve your class now as class size is limited and on a first come first served basis. Full tuition is due by first class. Due to class size limitation, this is a non-refundable deposit. If you need to make other payment arrangements, please feel free to email or call Don with your questions. 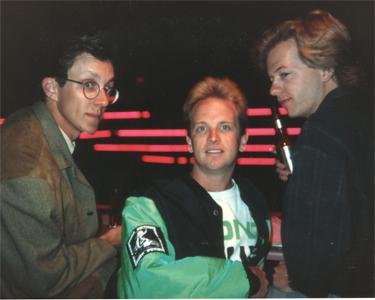 Barnhart first started his comedy career during the comedy boom of the 80's as the Talent Booker and Manager at the Comedy & Magic Club in Hermosa Beach, CA. 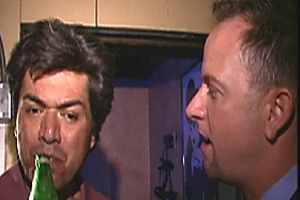 It was there he forged friendships and worked with and learned from comedy superstars: Dennis Miller, Dana Carvey, Jerry Seinfeld, Jim Carey, Judd Apatow, Garry Shandling, Jay Leno, Louie Anderson, George Wallace, David Spade, George Lopez, Jeff Foxworthy, Bill Engvall, Harry Anderson, Alonzo Bodden and many more. As a comedian, Don has also worked with Jamie Foxx, Ron White, Martin Lawrence, Bill Belamy, Rondell Sheridan, Brad Garrett, Shelly Berman, George Carlin and Tommy Davidson to name a few. It's Don's vast experience and knowledge of the inner workings of the business side of comedy as well as his performance abilities that separate him from other comedy instructors. Don continues to tour, produce and direct. 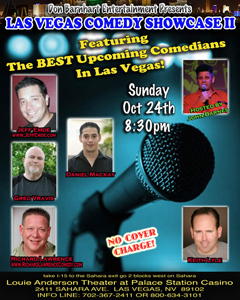 In 2013, he won the Levity Enteratainment's "Best Comedian" as well as Talent House's "Best Talent and was listed by the Las Vegas Review Journal as one of their "Best Bets". 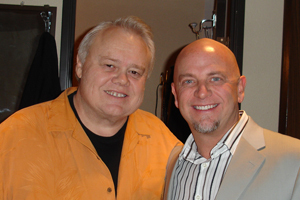 Prior to that, Barnhart received the International Performing Artists, "Bob Hope Humanitarian Award" for his work producing and performing for the troops around the world and has had both his own comedy & hypnosis shows running in Las Vegas. Don is also the writer, director and star of the upcoming comedy film, “Freeloader”, he is the creator and host of the syndicated TV series, “The Freedom of Speech Comedy Show” and the director and performer on The Ice House's 50th Anniversary Comedy Special. 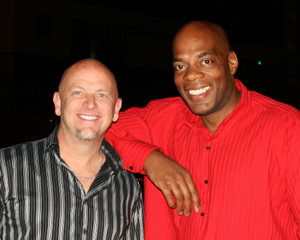 In 2007, Barnhart won the American Idol Underground Comedy Award and has been consistently voted “One of the top 100 comedians to see” by Entertainment Business Journal. Don Barnhart is the author of two books, numerous articles and is a contributing author on, “I Killed: True Stories of the Road by America’s Top Comics” which the N.Y. Times called, “Hilarious. He is an alumni of The Second City Conservatory program in Los Angeles and is developing, "The DeEvolution of Man" a sit-com and one man show based on his successful stand up tour. Healing through humor is a one day recover based comedy writing and performing workshop where Barnhart encourages students in recovery programs to harness their pain and use it to fuel their recovey by finding the humor in it. The old saying, "Pain, plus time equals funny" is true and Barnhart works with each student to discover the hidden gem in their personal situation. Barnhart's reality based humor writing techniques may help you face and concour your pain, demons and might even uncover a hidden talent. Class can be booked as a 6 week series. Are you ready to take your career to the next level? Are you tired of hitting your head against the wall? 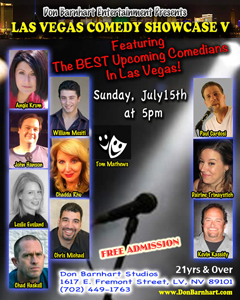 This weekend workshop is designed to jumpstart or revitaliize your comedy career. Material, personality or a combination of both. A review of your demo (up to 5 miin). We will review in class so everyone can learn what works and what doesn't. Marketing and branding yourse: Promo kits, sending avails and bookers information. Althought this workshop is comedy based, it is for anyone that wants to improve their public speaking ablitly and social networking in a fun and supportive environment. Do you feel that you’ve banging your head against the door and are still getting nowhere? You can’t keep doing the same thing expecting a different result. You can have it all but you have to know how to get there. You need a success strategy. Having a personal coach can help you to achieve your goals and dreams. I'm here to help empower your dreams into reality! I want to help you make a transformational difference in your life and get you to where you want to be. Are you ready to take your life to the next level? Are you facing roadblocks or plateaus? Don Barnhart specializes in coaching you sharing his secrets of success to help you attain your goals. Career advice, overcoming personal roadblocks, breaking through phobias and fears. It's like having a personal manager, movtivational coach and therapist all in one. 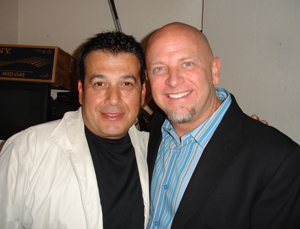 Join Don in this personal 90 intensive Career Success Transformation Program. Barnhart will personally mentor you and guide your career, health, relationship or spiritual goals. This is an intense, one-on-one weekly program including personal sessions, phone sessions where Barnhart breaks down the ladder of success working with you to develop your talent, relationship, health, spiritual and business goals. Learn from one of the busiest comedians working today. Mary Morrissey of the Life Mastery Institute said, " Creating success isn’t just about knowing which path to take, it’s also knowing where the pitfalls are and how to avoid them." and Don Barnhart is the guy to go to if you want to break through the ordinary and become the person you've always dreamed of being. You need to know where you want to be before you can get there and with Barnhart guiding you, the possibilities are endless. 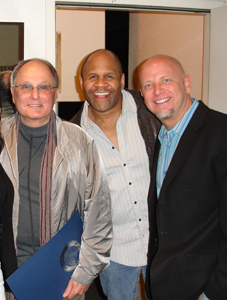 Whether your tyring to improv your career, health, relationships or spirituality, Don Barnhart's 90 Day Transformational Success & Mentorship Program will get you going in the right direction. Barnhart is a speaker, teacher, minsiter and coach and wants to empower you to achieve your goals. Having a clear cut destination is the key to achieving your dreams. There are so many possiblities and most people are busy chasing a paycheck living a life unfulfilled. "If you're doing what you love, it's not a job", says Barnhart. "Our parents, school systems and society in general teaches us to get a job and follow the leader but never teaches or encourages us to truly live our dreams and become leaders in our specific industries." The fact that you are reading this shows me that you're ready to take your life to the next level. You are one of those unique individuals that is not satisfied with being "ordinary". Instead of spending money on frivilous items and other distractions, it's time to invest in yourself and you'll be able to buy all the toys you want. For more information, please contact Don directly at the contact link. 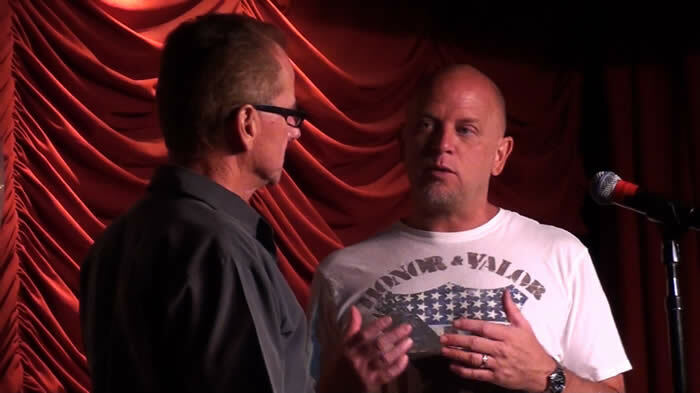 One on one sitdown with Don to go over the direction your career is going. 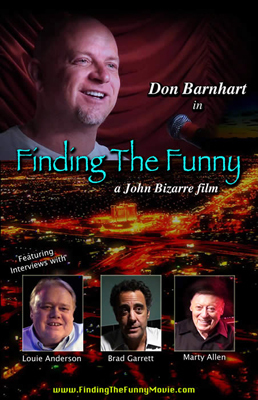 The new documentary starring Don Barnhart, Teaching the art of humor. featured in Finding The Funny! 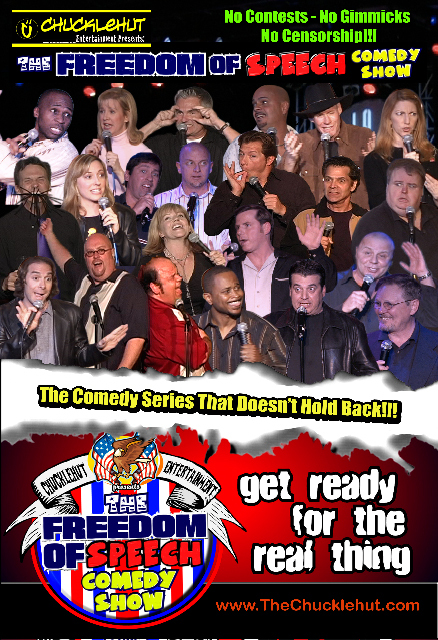 "The Freedom of Speech Comedy Show"
Contributing Author, "I Killed: True Stories of The Road From America's Top Comics"